Eric is a Vice President of manufacturing in DEC, has a background in Chemistry and brings 20 years of supply chain, operations and engineering management experience. He started his career in 1990 as a development engineer at Royal Philips Electronics, a Netherlands based global leader in Consumer, Healthcare and Lifestyle. After several management positions in manufacturing he became responsible for the RF semiconductors production plant in Nijmegen, the Netherlands. 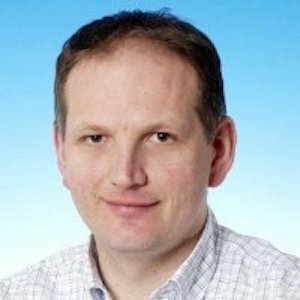 In 2005 he was appointed Senior Director for Sales Operations EMEA. In 2007 he moved to Taiwan to set up the NXP Semiconductors central customer service organization for Asia Pacific. Based in Taipei he took up responsibility for global supply chain operations and customer service as well. Prior to joining DEC, Eric was associate partner at Birch caring ventures.